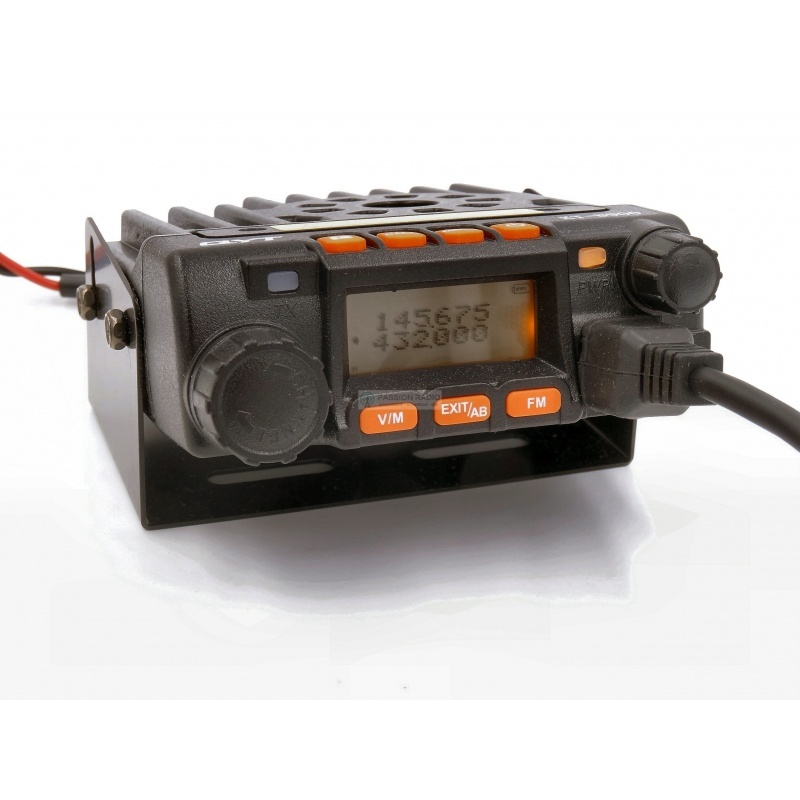 The mobile unit QYT mini KT-8900 (new version v2) is an ultra-compact transceiver dual-band VHF and UHF, covering in RX and TX 136-174MHz and 400-480Mhz in FM analog mode with 25 watts (VHF) and 20 watts (UHF) and VFO button for changing channels or frequency. Functions: Scan, dual display, dual standby alternately display color setting (blue, orange, purple), relay mode, CTCSS, DTMF, 1750Hz tone, VOX, 200 channels, simple duplex, FM radio 88-108MHz , no frequency 5K, 6.25K, 10K, 12.5K and 25K and 3.5mm speaker / external receiver. The QYT mini KT-8900 is programmable from a computer using the supplied USB cable and the Chirp programming software (free) to download. Comes complete with: The mobile unit QYT KT8900 mini microphone with numeric keypad, USB programming cable, microphone holder clip bracket and screws for mounting, power cable with cigarette lighter car (12V) mode employment (in English). 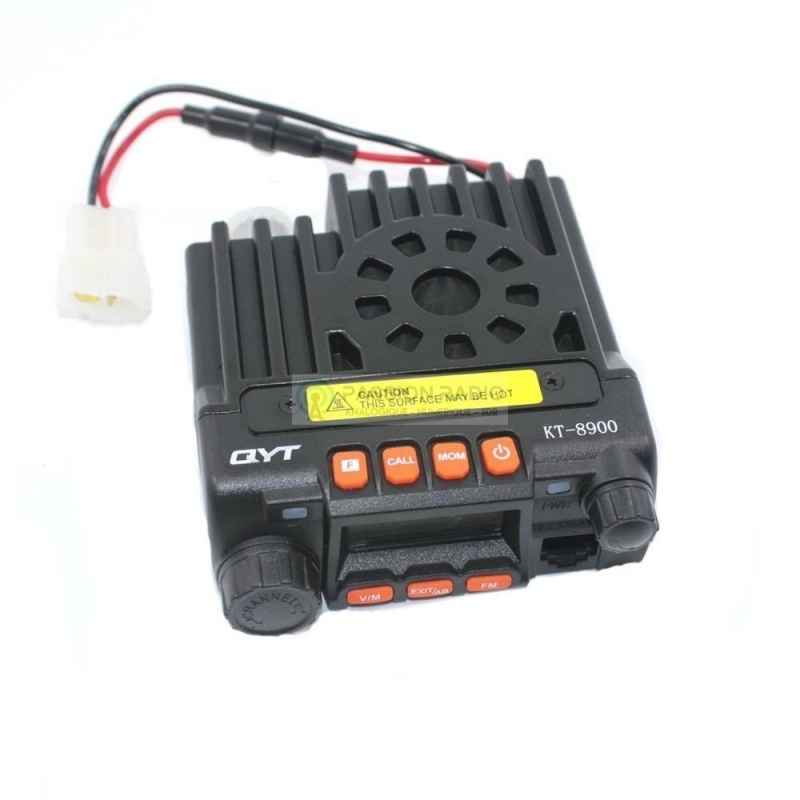 Description: The mobile unit QYT mini KT-8900 ( new version v2 ) is an ultra-compact transceiver dual-band VHF and UHF, covering in RX and TX 136-174MHz and 400-480Mhz in FM analog mode with 25 watts (VHF) and 20 watts (UHF) and VFO button for changing channels or frequency. Functions: Scan, dual display, dual standby alternately display color setting (blue, orange, purple), relay mode, CTCSS, DTMF, 1750Hz tone, VOX, 200 channels, simple duplex, FM radio 88-108MHz , no frequency 5K, 6.25K, 10K, 12.5K and 25K and 3.5mm speaker / external receiver. The QYT mini KT-8900 is programmable from a computer using the supplied USB cable and the Chirp programming software (free) to download. Comes complete with: The mobile unit QYT KT8900 mini microphone with numeric keypad, USB programming cable, microphone holder clip bracket and screws for mounting, power cable with cigarette lighter car (12V) mode employment (in English).